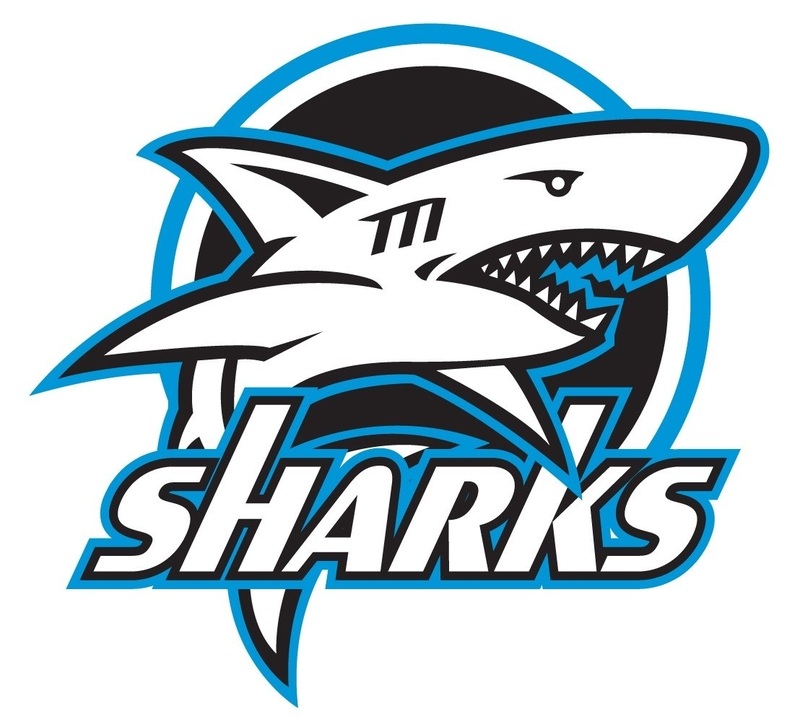 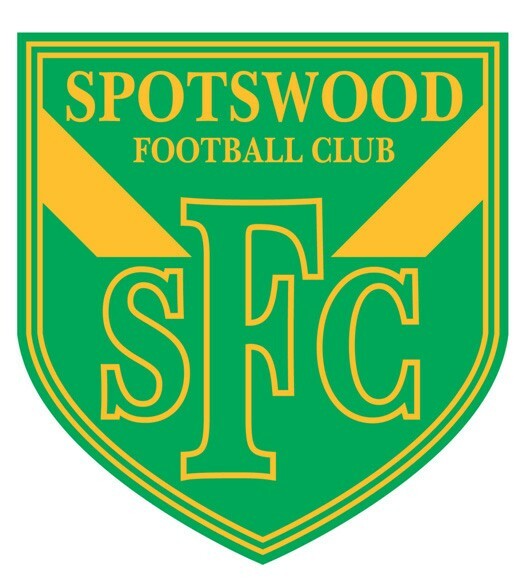 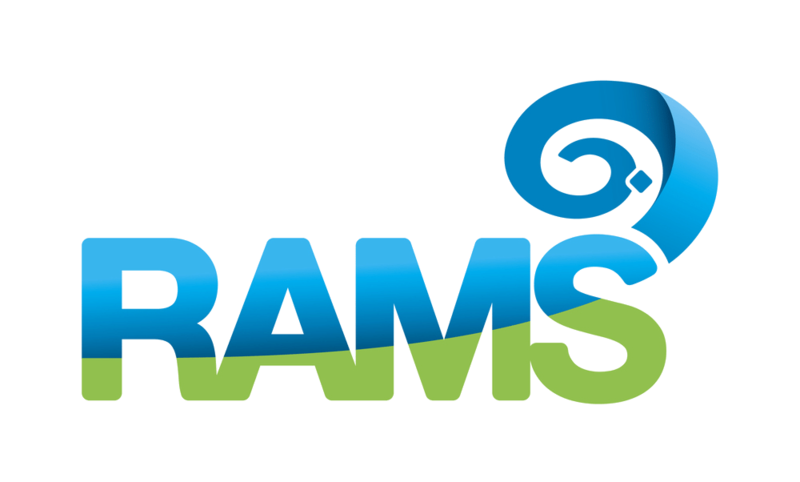 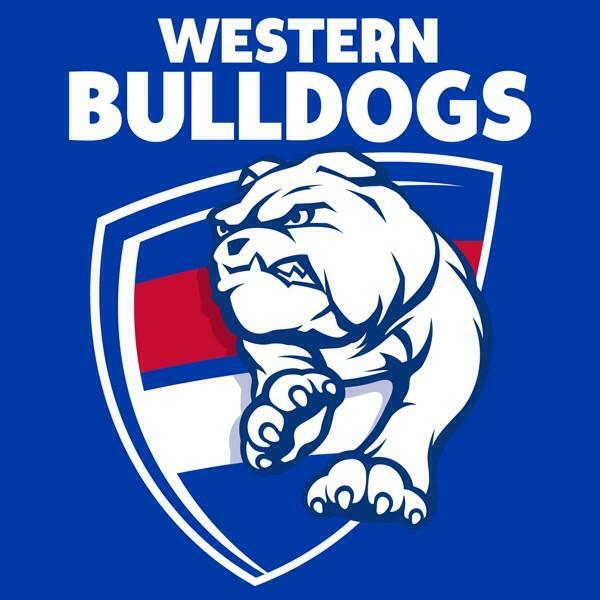 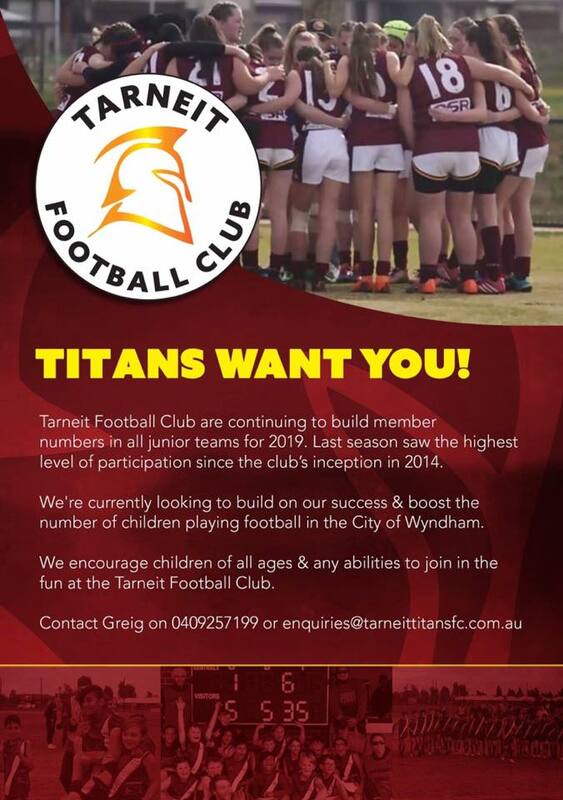 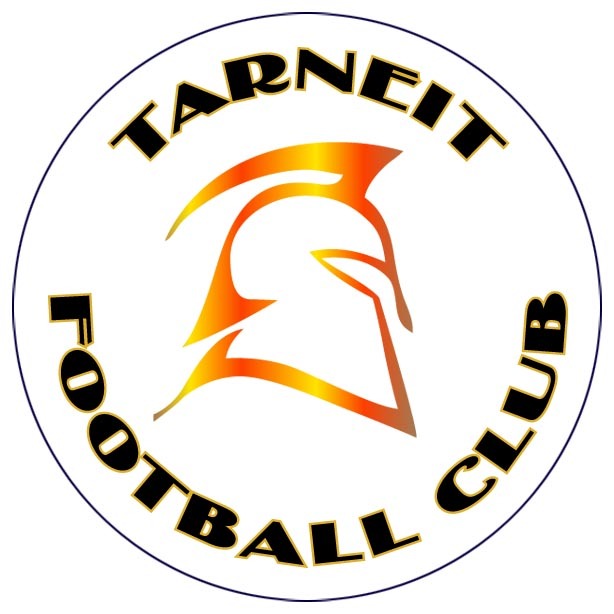 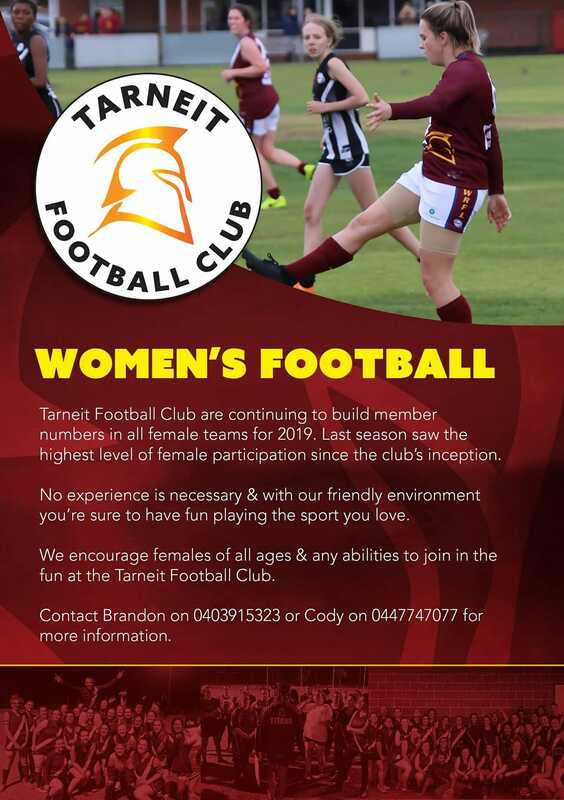 Tarneit is seeking practice games on Sunday March 31 for their Under-9’s, Under-10’s, Under-12’s and Under-16’s at Wootten Road Reserve, Tarneit. 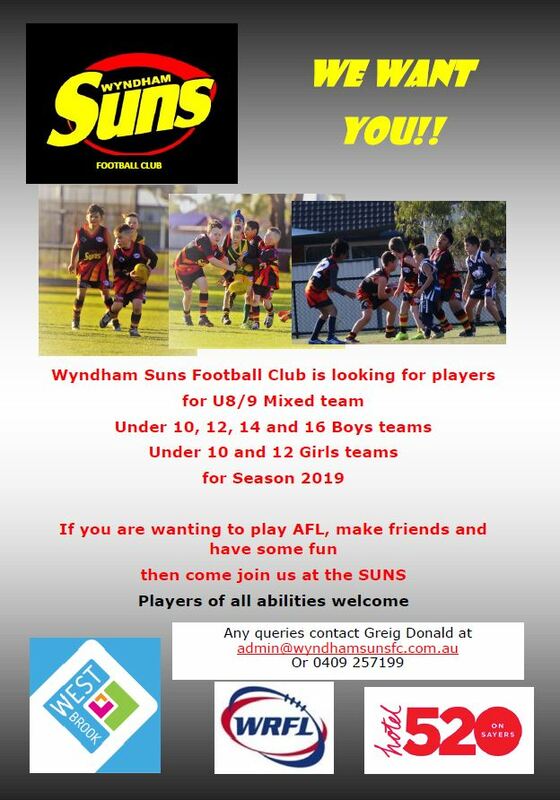 Please contact Neil Dutson on 0400 113 637 for more information. 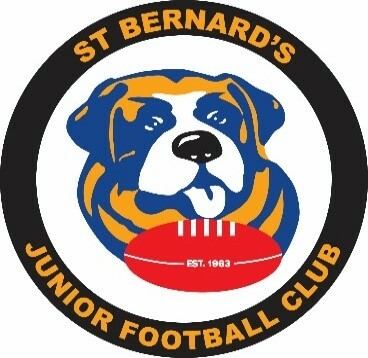 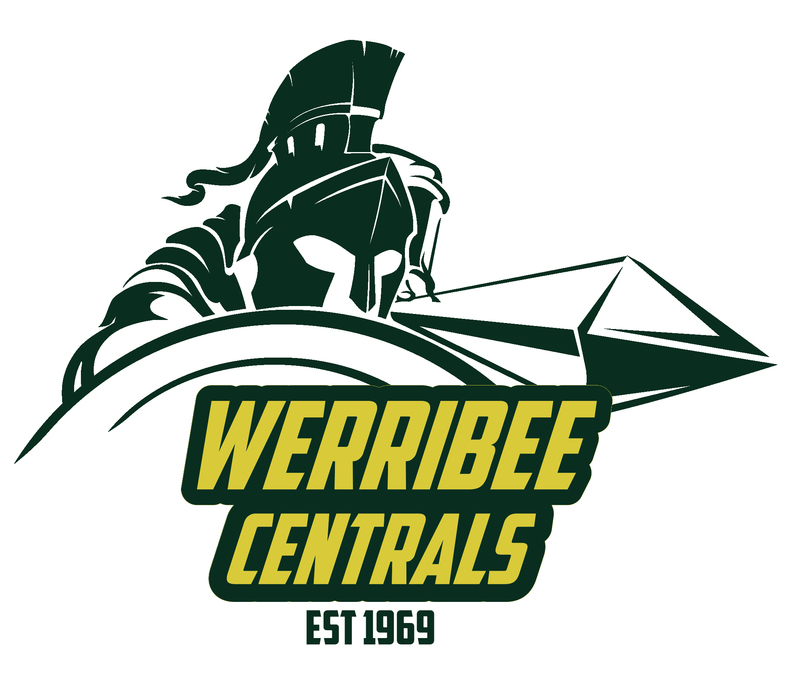 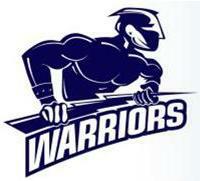 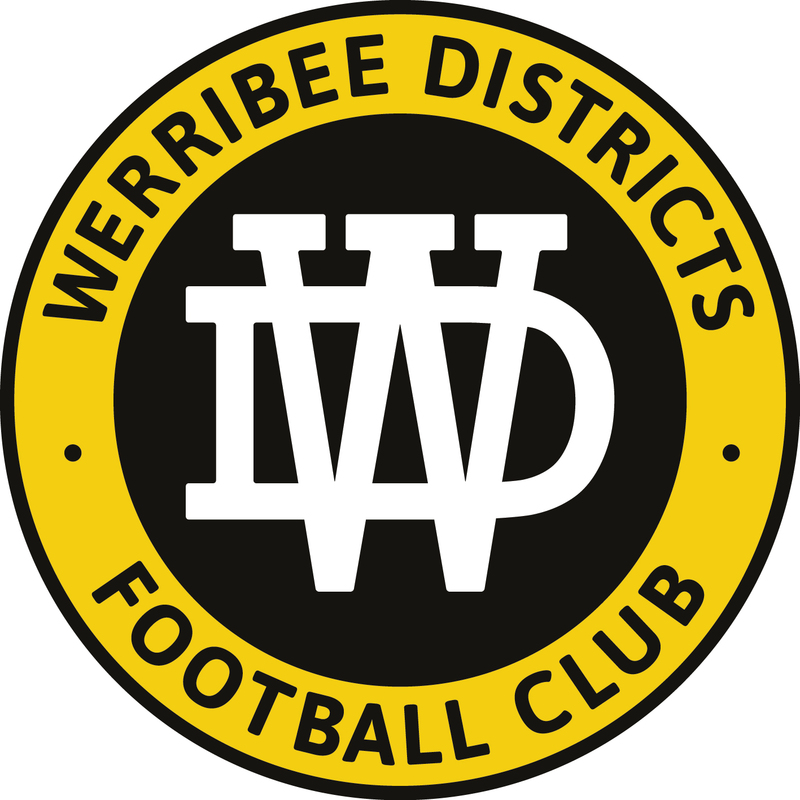 Werribee Centrals Junior Football Club is seeking coaching applications for Under 9s & a second Under 12’s Team. 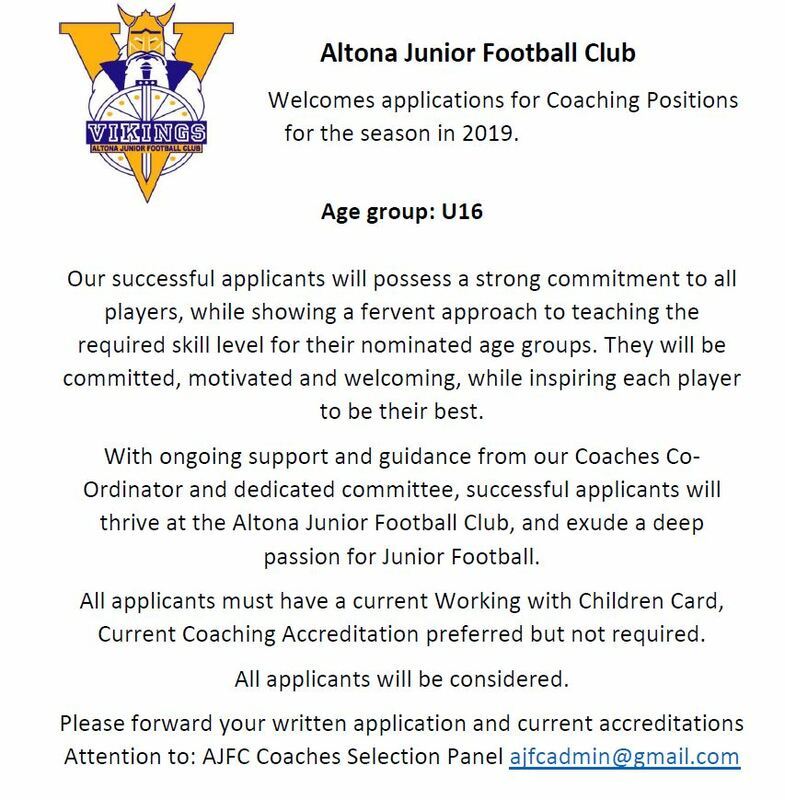 The ideal candidates should be motivated and have a desire to develop players and create sportsmanship throughout our club. 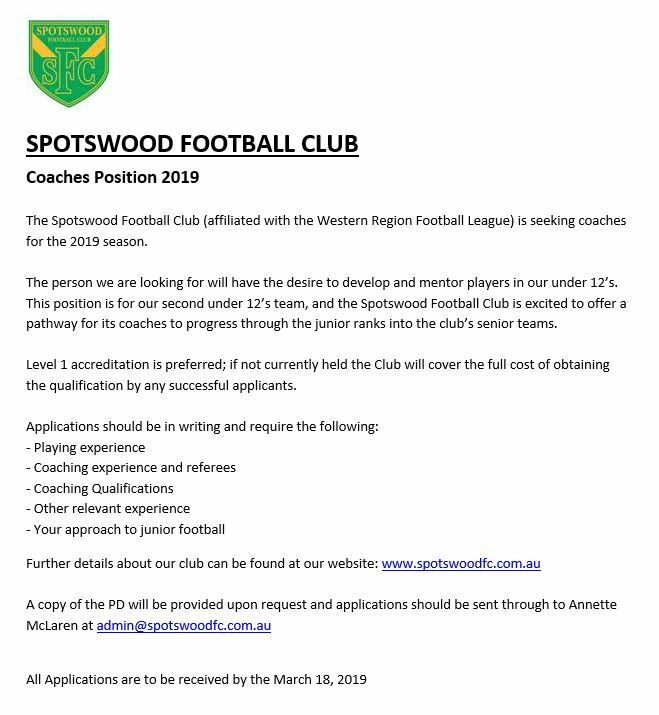 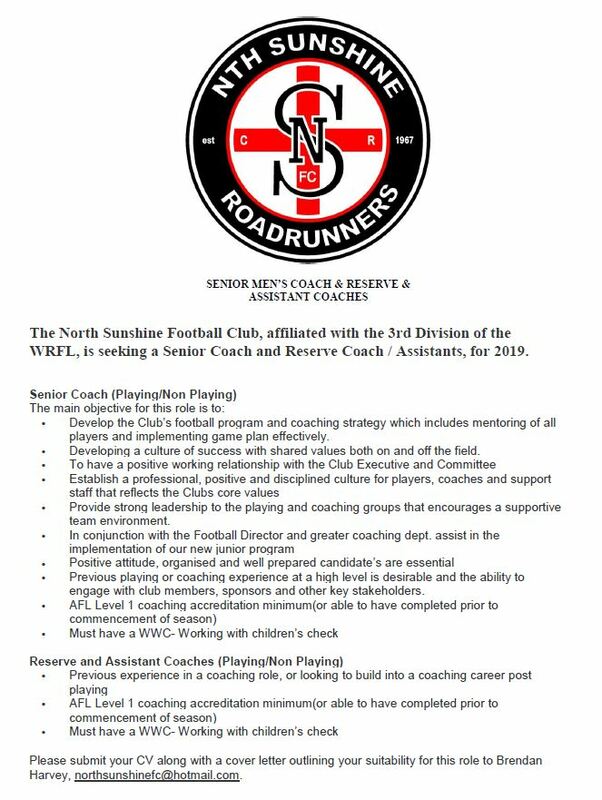 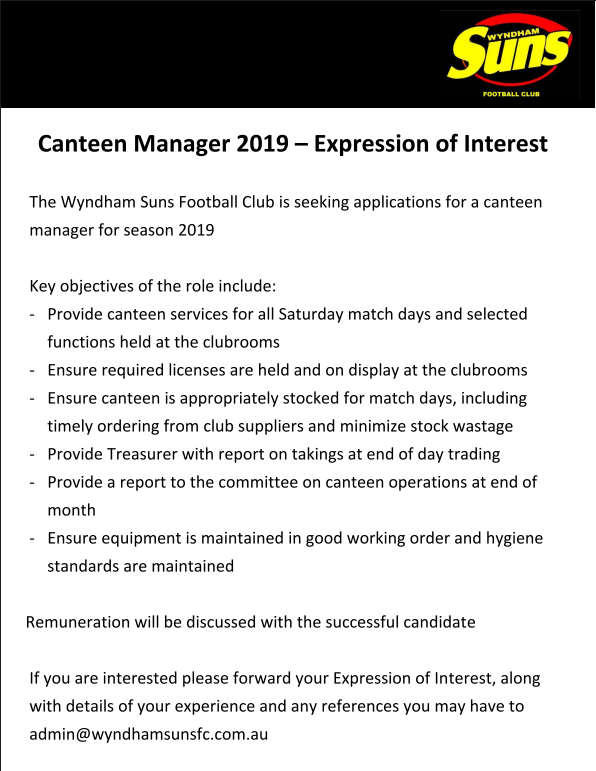 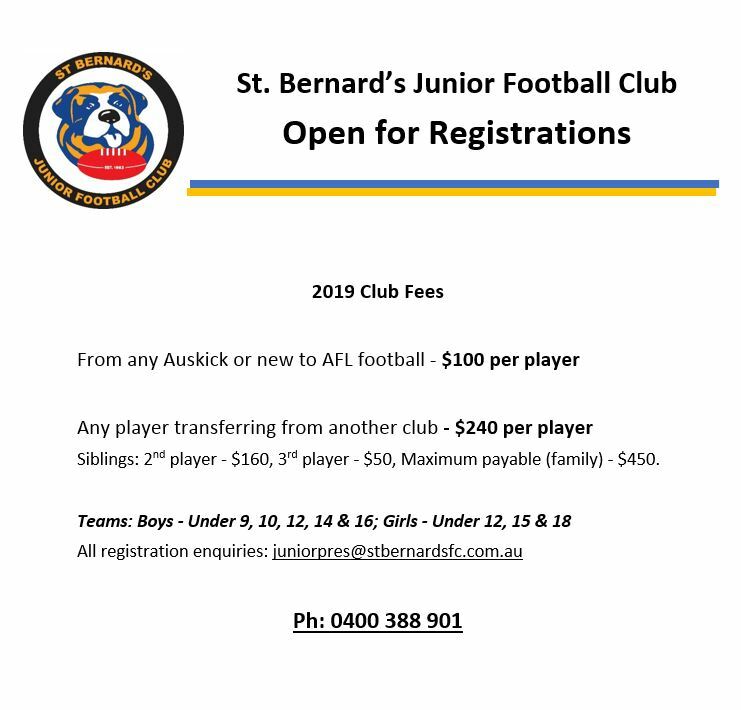 Applications are to be emailed to coaches@werribeecentralsjuniorfc.com.au, previous playing history or coaching experience would be preferred by not necessary. 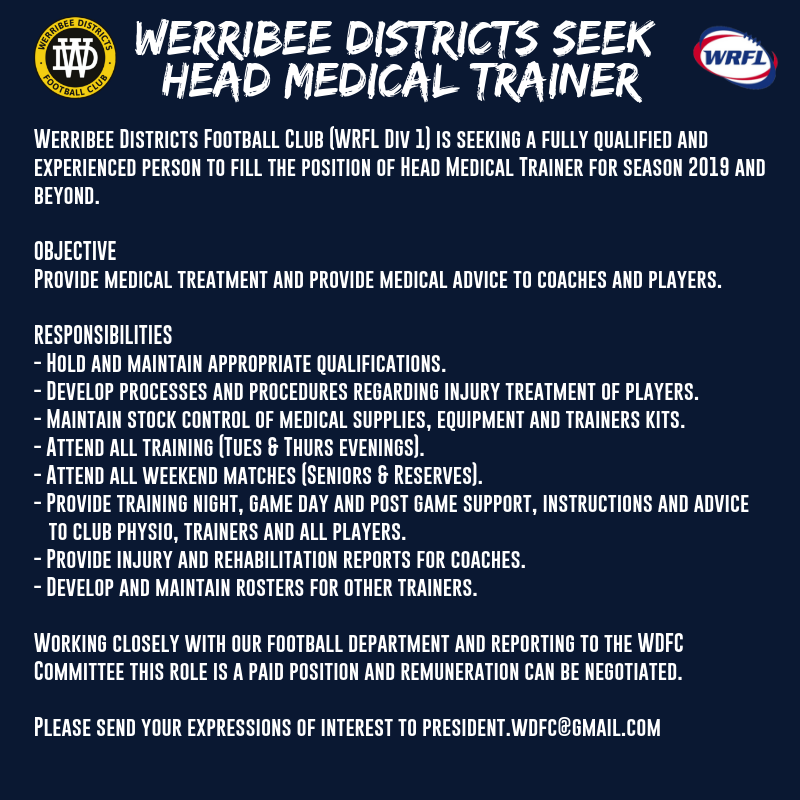 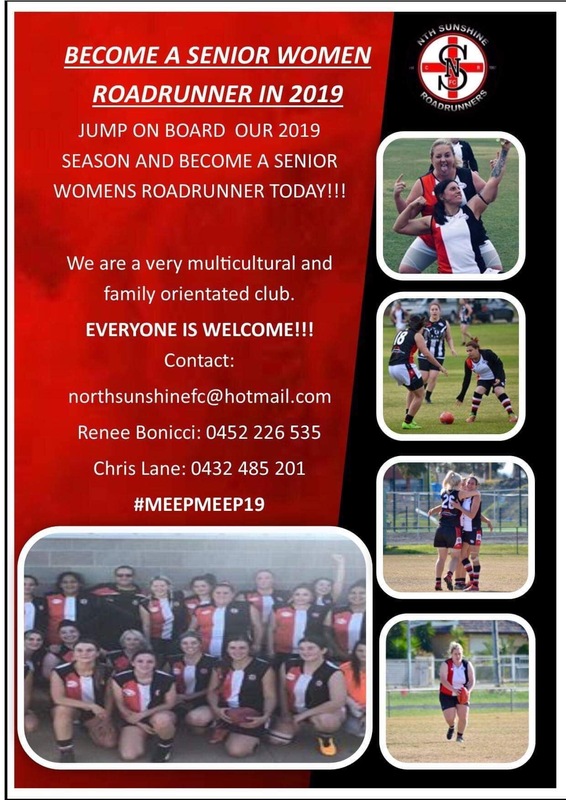 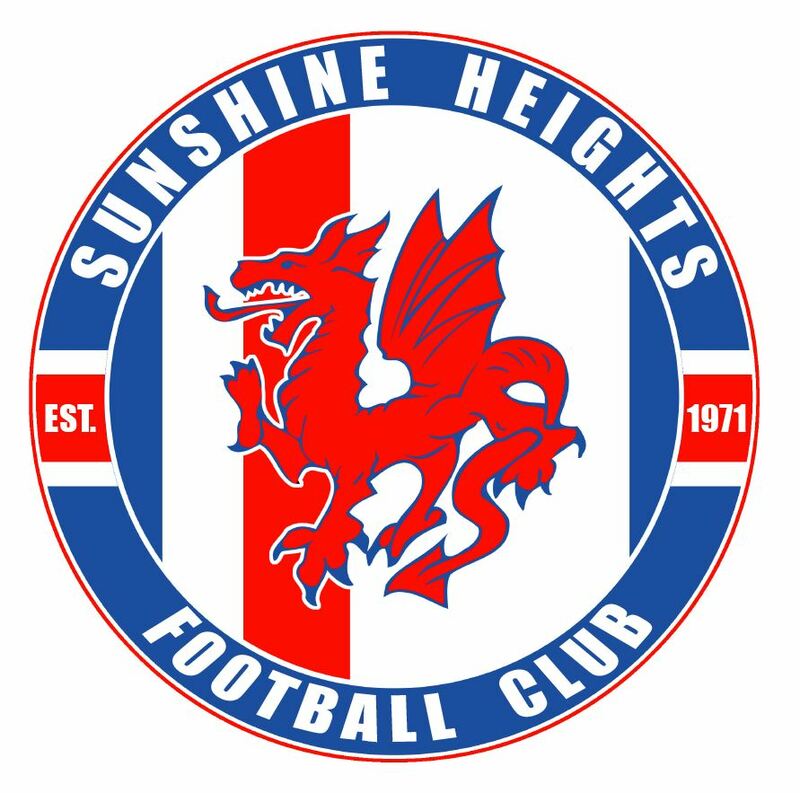 Sunshine Heights Football Club is seeking trainers for 2019. 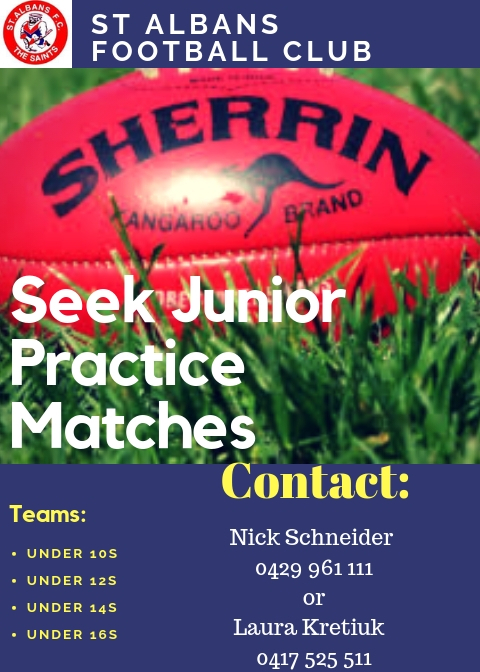 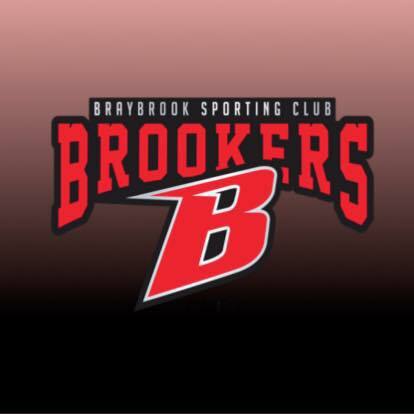 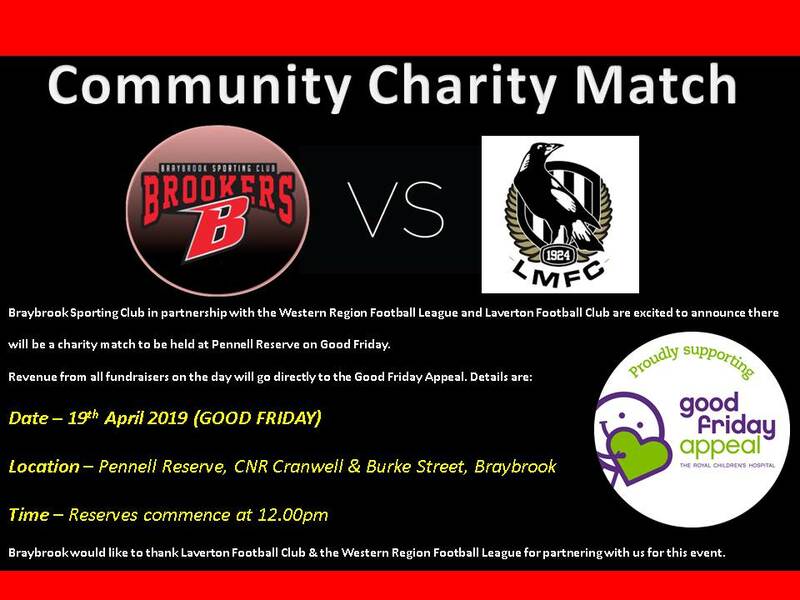 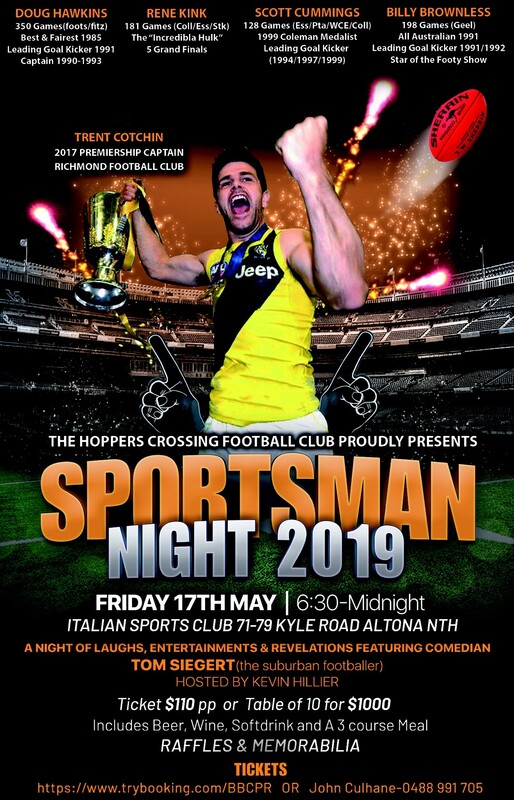 If you are interested in getting involved, please call President Vince Sposato on 0414 352 904. 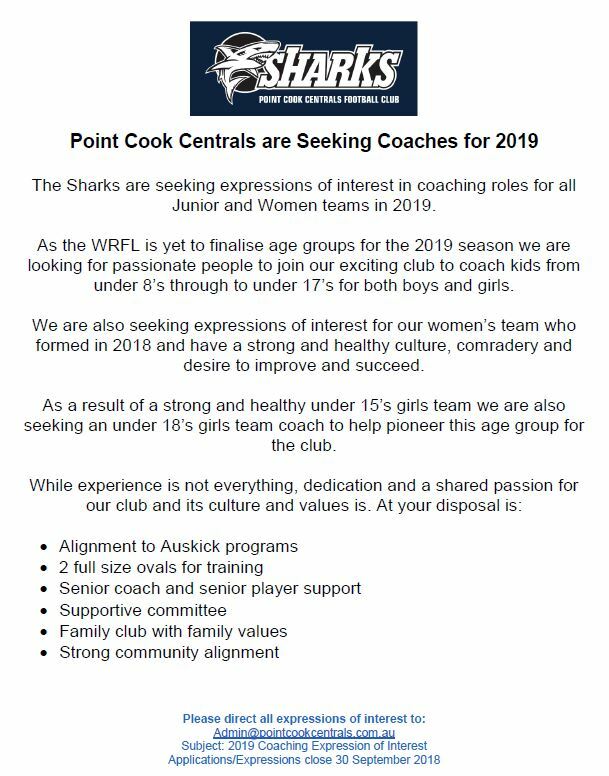 Interested parties are encouraged to apply in writing with recent playing / coaching experience, contact details and any other relevant particulars. 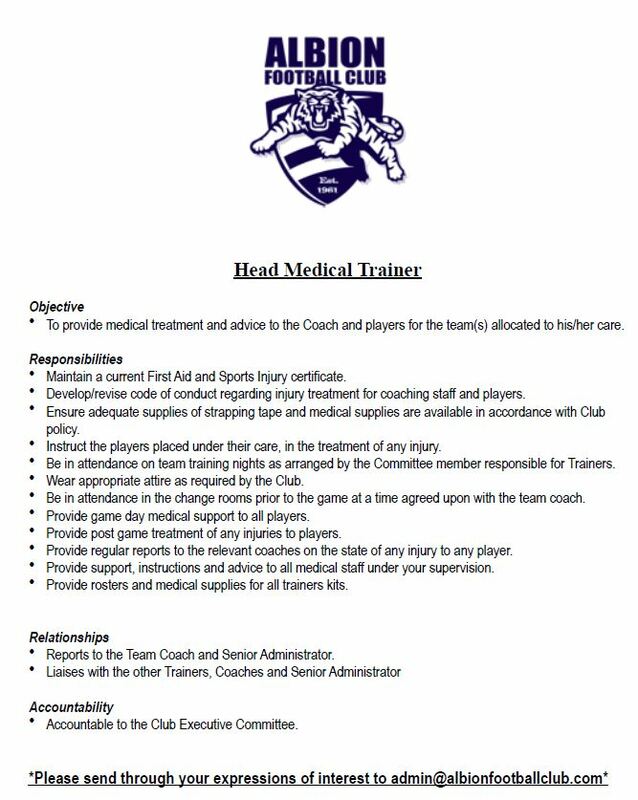 All applicants will be treated in confidence. 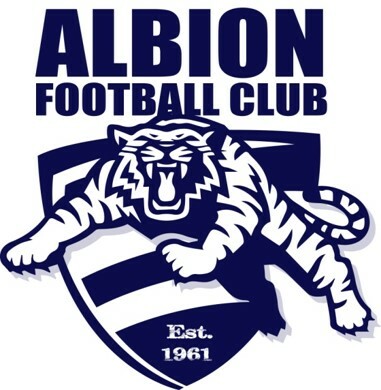 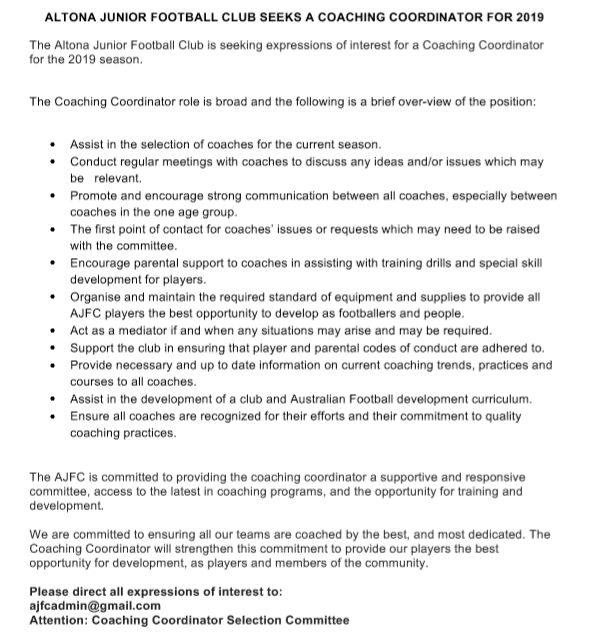 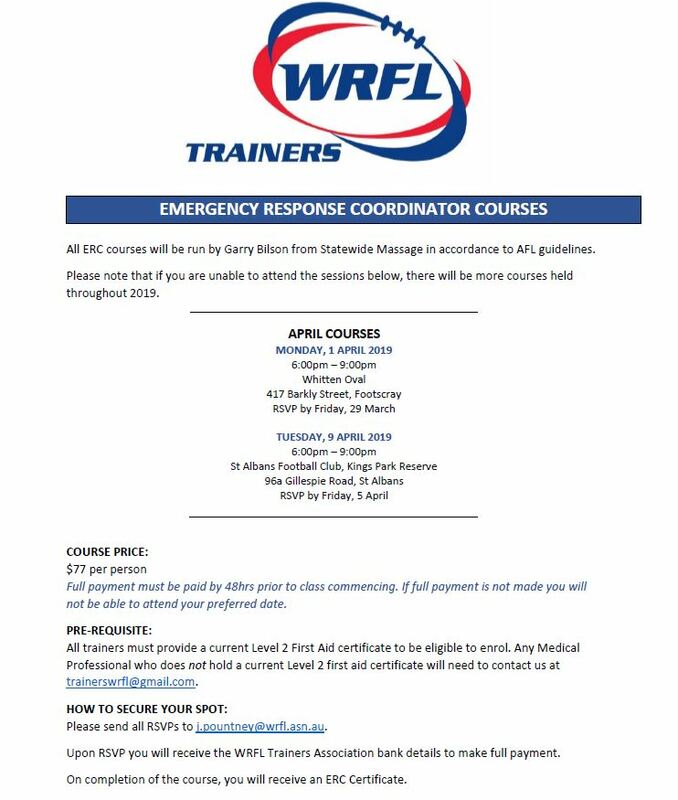 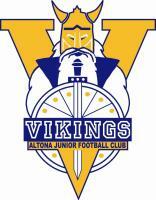 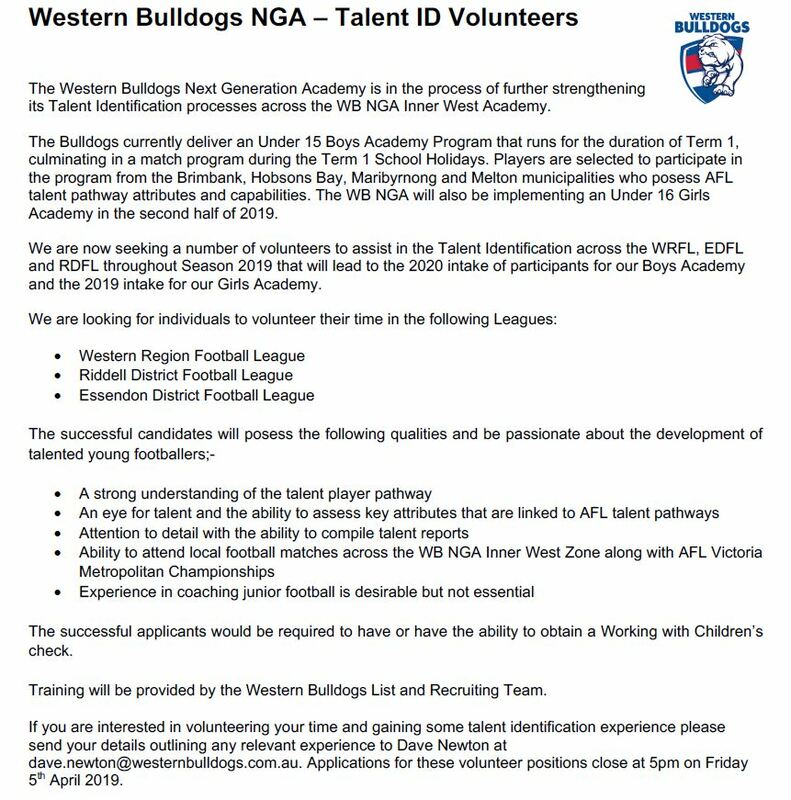 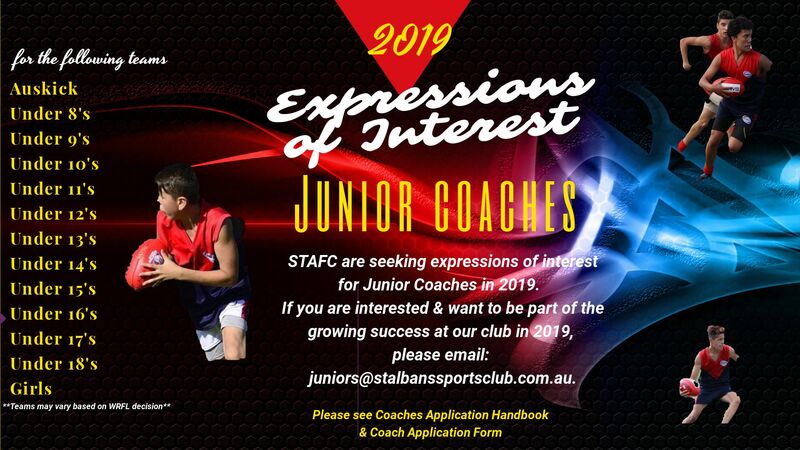 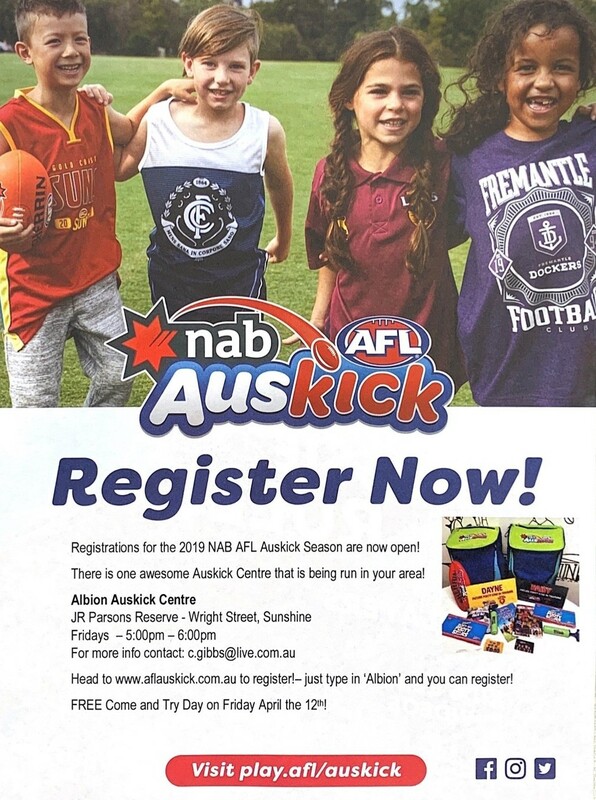 The Altona Juniors Football Club is seeking expressions of interest for Junior Coaches for the 2019 WRFL Season.